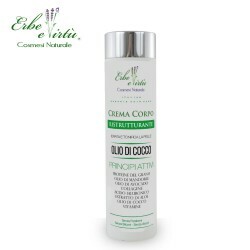 Moisturizing and elasticizing body cream with fresh fragrances of your choice. Ideal for after-shower. Enriched with precious oils and vitamins the Scented Body Cream helps keep the skin young, soft and smooth. Thanks to its eudermic properties it nourishes and softens even the driest, arid, chapped or stressed skin. Restores the skin's well-being leaving it soft, velvety and delicately perfumed. Hydrolyzed Wheat Protein, Sweet Almond Oil, Avocado Oil, Collagen, Hyaluronic Acid, Aloe Extract, Coconut Oil, Vitamins. Apply with a light circular massage from the bottom up until completely absorbed.